MIAMI, FL--(Marketwired - Nov 7, 2016) - Esosa Edosomwan is the 2016 'Flow Caribbean People's Choice Award' winner! 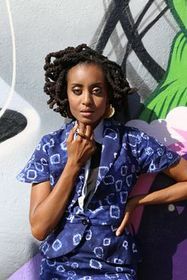 Esosa's television show concept Brooklynites -- an inspired tale of young hopes, dreams, ambition, and the pursuit of lasting love -- received the most online votes. This People's Choice Award is part of a broader initiative by CaribbeanTales, to enable strong content by regional artists and those living in the diaspora. The ten finalists that 'pitched' their TV show ideas were selected participants in the CaribbeanTales Incubator Programme (CTI) -- a year-round development and production hub for Caribbean and Caribbean Diaspora Producers, of which Flow is the lead sponsor. The Flow Caribbean People's Choice Award gave regional audiences the chance to vote online for their favourite Caribbean 'pitch.' Once the polls opened on August 23rd, fans around the region closely followed Flow's social media pages to see which finalist was featured each day and then cast thousands of votes on the CaribbeanTales website. After nearly two months of voting, Brooklynites came out on top. Along with the honour, Flow presented Esosa with US$1,500 in cash and a premium handset valued at USD$1,000. Big Man Dan by Kafi Kareem Farrell and The Weekend by Sean Hodgkinson and Aurora Herrera came in a close second and third respectively. 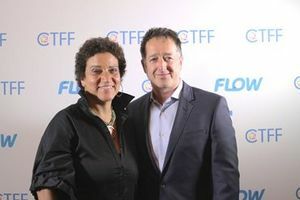 Congratulating Esosa and her team, John Reid, CEO of Cable and Wireless and operator of Flow, stated "Brooklynites won the people's choice with its compelling story and is a great representation of what CaribbeanTales is trying to achieve through this project to help develop the indigenous film industry." Reid also added, "All of the concepts presented were very strong and we look forward to working alongside the winners to help bring their creative ideas to life." You can check out Esosa's acceptance video here! CEO and Founder of CaribbeanTales, Frances Anne Solomon, said, "The CPCA is a chance for people around the region and the world to engage with exciting new Caribbean TV series ideas and have a say in what they want to see on their screens! It is a honour to be working with Flow on such a ground-breaking initiative." Visit the CTI website for more information and to apply for the 2017 CTI Programme. And follow Flow and CaribbeanTales on Twitter and Facebook to stay up to date. CWC is a full-service communications and entertainment provider and delivers market-leading video, broadband, telephony and mobile services to consumers in 18 countries. Through its business division, CWC provides data center hosting, domestic and international managed network services, and customized IT service solutions, utilizing cloud technology to serve business and government customers. CWC also operates a state-of-the-art submarine fiber network -- the most extensive in the region -- in over 30 markets. Liberty Global is the world's largest international TV and broadband company, with operations in more than 30 countries across Europe, Latin America, and the Caribbean. We invest in the infrastructure that empowers our customers to make the most of the digital revolution. Our scale and commitment to innovation enable us to develop market-leading products delivered through next-generation networks that connect our 29 million customers who subscribe to over 59 million television, broadband, internet, and telephony services. We also serve 11 million mobile subscribers and offer WiFi service across seven million access points. Liberty Global's businesses are comprised of two stocks: the Liberty Global Group (NASDAQ: LBTYA, LBTYB and LBTYK) for our European operations, and the LiLAC Group (NASDAQ: LILA and LILAK, OTC Link: LILAB), which consists of our operations in Latin America and the Caribbean. The Liberty Global Group operates in 12 European countries under the consumer brands Virgin Media, Ziggo, Unitymedia, Telenet and UPC. The LiLAC Group operates in over 20 countries in Latin America and the Caribbean under the consumer brands VTR, Flow, Liberty, Mas Movil and BTC. In addition, the LiLAC Group operates a subsea fiber network throughout the region in over 30 markets. The CaribbeanTales Media Group is a group of companies that produces, markets, and sells Caribbean-themed film and television content for global audiences. It includes CaribbeanTales Worldwide Distribution (CTWD), registered in Barbados, the first and only full-service distribution entity dedicated to the monetisation of Caribbean content; CaribbeanTales Inc a registered Charity based in Toronto, Canada; the Caribbean-Tales International Film Festival (CTFF) that produces events around the world, CaribbeanTalesFlix, our production arm, and CaribbeanTales-TV, a video on demand platform. The CaribbeanTales Incubator (CTI) is a year-round development and production hub for Caribbean and Caribbean Diaspora Producers that aims to create strong, compelling and sustainable content for the global market. The ultimate goal of the CTI is to increase the pool of world-class indigenous film and television content so as to build the region's audio visual capacity. CTI is now accepting applications for its 2017 programme: http://caribbeantales.ca/cti.